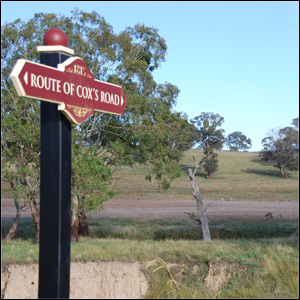 Governor Macquarie appointed retired Lieutenant William Cox JP of Clarendon, near Windsor, on the 14 th May 1814, to build the first constructed road out of the Sydney Basin “across the Blue Mountains to the Macquarie River and a centrical part of the Bathurst Plains. Cox’s party consisted of thirty convicts, with a guard of eight soldiers. They constructed over 100 miles of road and associated bridges from the Nepean River to the site of Bathurst, finishing on …… 1815. Governor Macquarie made the journey to Bathurst, proclaiming the township of Bathurst on 7 May 1815. The O’Connell Anzac Memorial Avenue is a living war memorial. It is dedicated to the men and women from O’Connell and district who served during the First World War. Of the sixty-six known men and women of the area who enlisted, twelve were killed in action. The project was inaugurated in March 1925 and was officially opened by Field Marshall Lord Allenby on 25 January 1926. 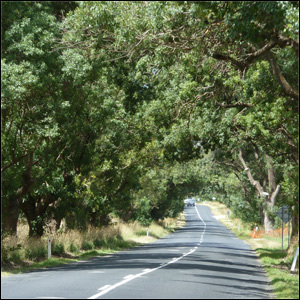 The Memorial Avenue is registered on the list of war memorials in NSW and has state and national recognition. It is listed on the Register of the National Trust NSW.